Videocon d2h ‘Khushiyon Ka Weekend Offer’ is a promotional scheme which is being offered by Videocon d2h, wherein a Subscriber can subscribe to Kids World Add on @ just Re. 1/- in this week’s offer. How to Subscribe to Kids World Add on @ just Re. 1 for 30 days? You must subscribe to ‘Kids World’ on the Offer Days between 00:00 hours on 15th Dec 2017 to 23:59:59 hours on 17th Dec 2017. Kids World Add on is a monthly subscription add-on. As such the Kids World Add on is available on for a monthly price of Rs 35/-, however only during the Offer Days subscriber can subscribe the Kids World Add on at the Offer Price. The subscriber’s account should be in active state to subscribe to ‘Kids World’. The subscriber should have sufficient account balance to subscribe to ‘Kids World’. Once subscribed @ Rs 1/-, ‘Kids World’ shall be available for 30 days & cannot be de-activated before that. After the 30 day’s subscription period, the ‘Kids World’ will be auto renewed at the normal price of Rs 35/- or such price prevailing at that stage. If the subscriber wants to discontinue the service post the Subscription Period, the subscriber needs to call the customer care one day prior to offer completion date (i.e. in this case he needs to call on the 29th day) to get it deactivated, else it will continue on the regular price of Rs 35/- or such price prevailing at that stage from the next month onwards, until requested for disconnection. 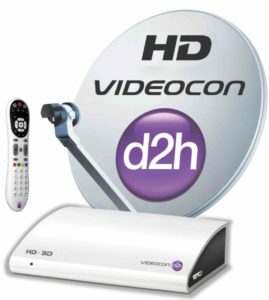 By opting for the Offer, the subscriber permits Videocon d2h to debit their d2h customer account maintained by Videocon d2h, with the applicable subscription fee during the Subscription Period and thereafter. Existing subscribers on Kids World Add on cannot Remove/Downgrade the add-on & then opt for the Offer during the Offer Period. In the event of any inconsistency between the CAF and these Terms and Conditions, in so far as this Offer is concerned, the later shall prevail.